The question on everyone’s lips is does Sweat with Kayla really work or is it a fad? 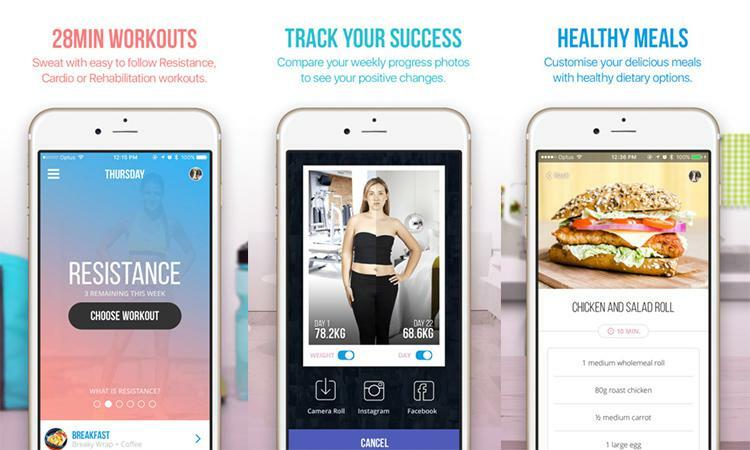 Her Bikini Body Guide in conjunction with the Sweat with Kayla App work in terms of aiding women of all shapes, sizes and ages in improving their weight, health and lifestyle. Before going further into this review, you will also benefit from reading an experienced Sweat With Kayla user’s experience at http://www.bikinibodyguides.com/sweat-with-kayla-itsines-app-review/ where she talks about Sweat With Kayla in detail. By no means is it a long-term solution but definitely one way to gaining knowledge and experience on how to live a better lifestyle into the future in order to maintain a healthy weight and life that is accessible at any time. The recently released Kayla Itsines App showcasing the PDF version of the Bikini Body Guide is in an easy to access format and is both complimented and criticized but in a world of technology dependent individuals it is a sure way to get women active and moving towards a healthy weight and increased fitness. Each workout only requires approximately 30 minutes of your time six days a week with one rest day. For the time poor this is a very attractive reason to use the Bikini Body Guide on the App, allowing them to have a organised plan of a short but effective workout to be completed any where any time. Easy to use and access being on an electronic platform, providing and timing your workouts for you at the click of a button. Utilizing simple body weight exercises with minimal equipment allows for the workout to be easily understood and effectively completed. You can take the App and its information anywhere and access it at anytime. You no longer need to just read the Sweat With Kayla PDF guide; it is all set up with different labeled sections to access each area of interest whether it be, resistance, cardio or recovery workouts or shopping lists and recipes for the pre-planned daily meals. Set up with a planner to tell you what days to do what workouts and when to take a rest day, it couldn’t be easier to follow. Private space to store your weekly progress photos and weight to keep you on track towards your weight-loss goals. Compare week-to-week and month-to-month to see those small changes in body shape that you may not notice each day and to show that it doesn’t happen over night, it is a journey and lifestyle that gets you to your goal. You can also share with other Sweat with Kayla users on social media platforms such as Facebook and Instagram if you want to show your friends and family your success. Due to having a phone with you most of the time, the app allows you to have accountability for your progress. It will tell you what you have done for the week and what needs to be completed to keep you on track. You need to record your workouts and track your eating and water intake too. Sweat with Kayla provides you with positive comments from other users and Kayla when you finish a workout to help keep you going. It helps you keep your lifestyle in check towards one of better health and fitness in addition to weight loss. Having a massive following, there is a huge community based support for the women utilizing the app. With so many success stories from using the Sweat with Kayla App and the BBG guide motivation, inspiration is high. Although not for every female out there, the Kayla Itsines App works for some women because it encompasses many facets needed to get women moving and on track to their goals, particularly in a technology dominant world where women are always near or using their phones for something. It is great to be able to keep yourself organised and on track with your goals taking the BBG with you anywhere in a compact and easy to access form. By having this option Sweat with Kayla works because it is quick, simple and convenient and makes the user see and track their results with accountability.